The number of visitors attending the Jeddah Ghair summer festival this year was disappointingly low. The city’s director of cultural affairs attributed the low turnout to insufficient funds and not enough businesses sponsoring activities at the festival. Samijr Nawar said Jeddah Mayor has been advised about how to find sufficient financing for the festival next summer. Mr. Nawar said in northern Obhur festivals took place at locations appropriate for the residents at a reasonable cost and Jeddah has tried to find similar locations. He said show locations were set up at the traditional area in Jeddah and mobile artistic and folklore groups participated in it. 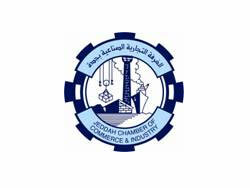 Jeddah Chamber of Commerce and Industry deputy chairman said this year’s festival met its objectives regarding number of visitors and financial returns. The festival lasted for 37 days conducting over 250 programs at the Corniche markets.